Pine Hill Trail is the longest trail in Fraser’s Hill. 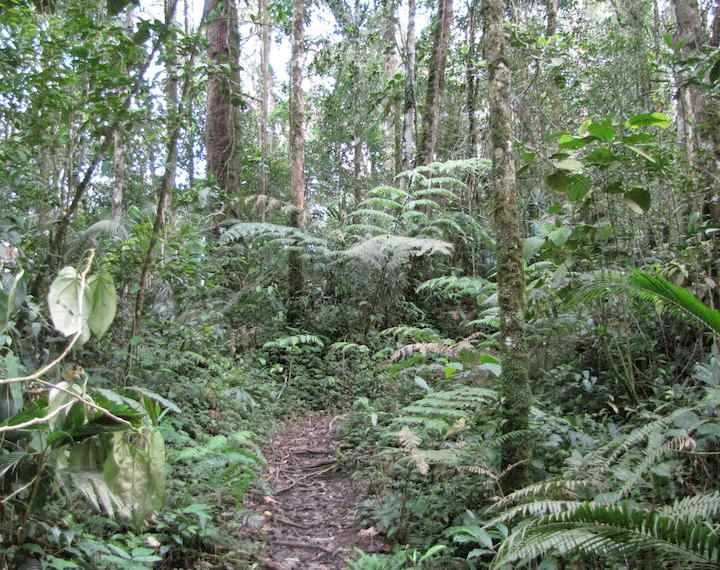 It is a bit difficult to find the trailhead, it was further along the road than I thought. They suggest letting your hotel or Inn know your plans (how long you plan to hike, when you should be back, etc.). 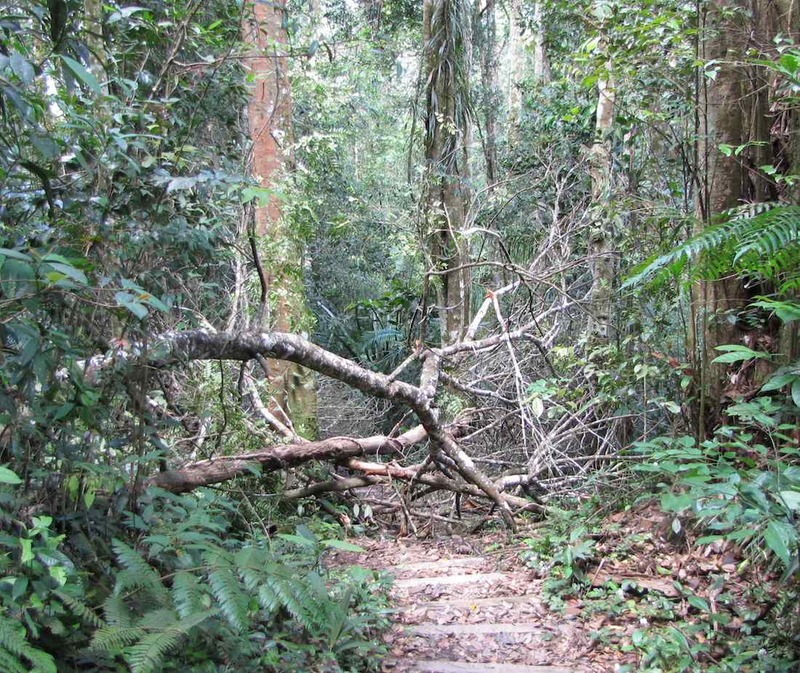 The trail was blocked in several places giving you the chance to climb over or around fallen trees. I found it to be a wonderful hike. It is quite a bit of up at down at the beginning. Updated photo (see the bottom of post for original photo). 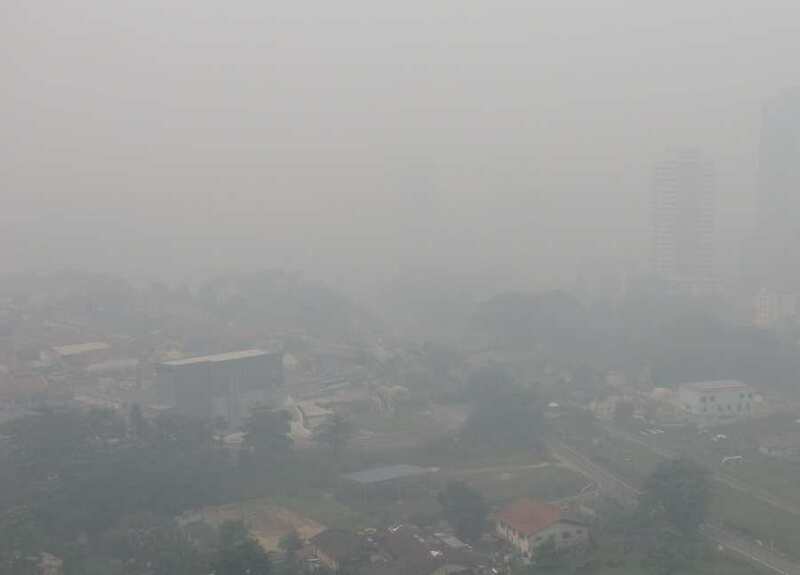 Haze over Johor Bahru, June 20th at 11AM. Photo of the same scene without hazy conditions, buildings in Singapore are visible in the background. The conditions are mainly due to Indonesian fires. 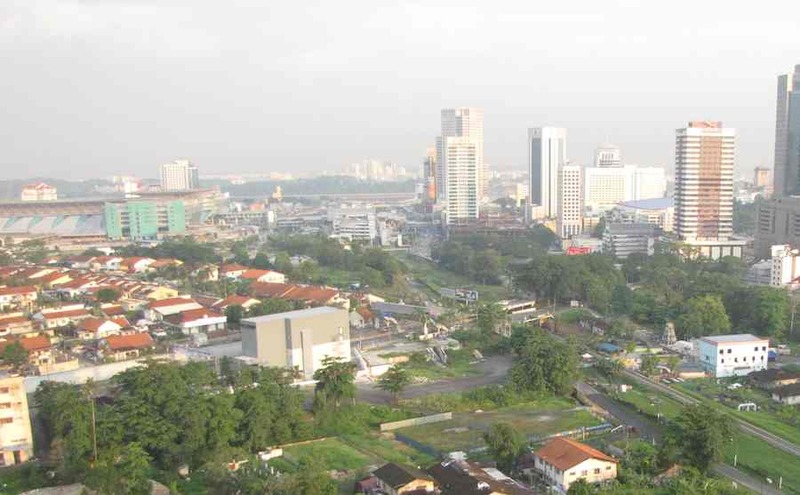 It is hard to reconcile the eco-city push for the Iskandar marketing however with the continued open burning of trash in downtown Johor Bahru daily [update a day or two after the severe haze problems Malaysia seems to have banned open burning if I read press reports correctly]. Update: From the Department of Environment of Malaysia [link broken so it was removed] which publishes API* readings 3 times a day from 4 sites in Johor (as well as the rest of Malaysia). A reading above 100 is unhealthy, above 300 is hazardous. With readings of 300 and above: healthy people will experience reduced endurance in activities. There may be strong irritations and symptoms and may trigger other illnesses. Elders and the sick should remain indoors and avoid exercise. Healthy individuals should avoid out door activities. For readings of 200-250, healthy people will be noticeably affected. People with breathing or heart problems will experience reduced endurance in activities. These individuals and elders should remain indoors and restrict activities. Subscribe to the RSS feed for the Living in Malaysia blog. You may also like, Circumhorizontal Arcs, Fire Rainbows, Cloud Rainbows in JB from a day when pollution wasn’t a problem and nature put on a show. 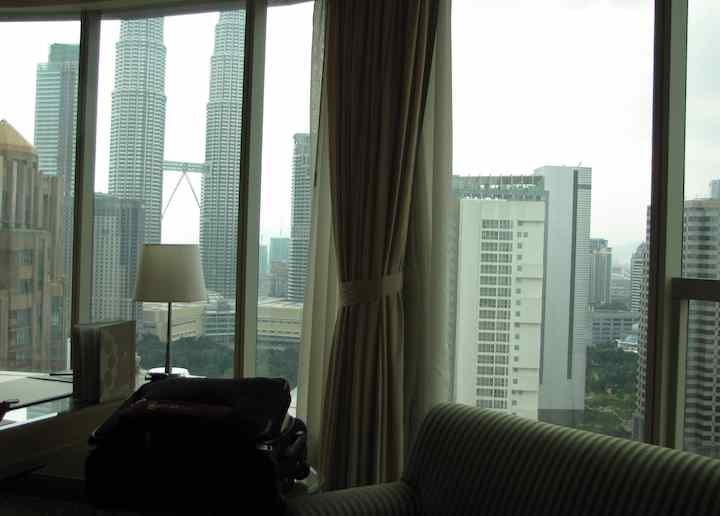 Prince Hotel & Residence Kuala Lumpur is a luxury hotel in downtown KL. I don’t stay in such places often but I splurged (and also had a big, well over 50%, discount through Agoda – the links here go to Agoda which provides a big discount and I am given a reward for bookings that come from links on my site) and it was very nice. 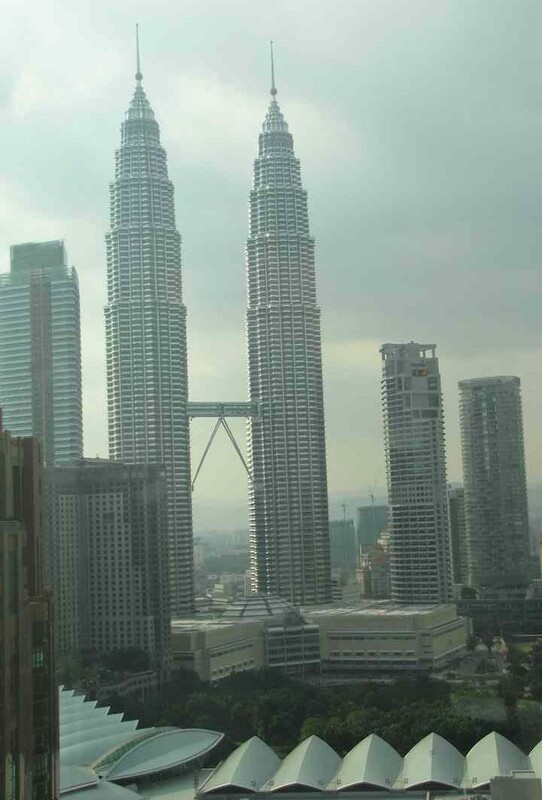 It is very close to Petronas towers, KLCC park and the convention center. The check in is a bit chaotic (they have a very sloppy process, no queing strategy…) but the location and rooms are fantastic. Grand Deluxe rooms are significantly better in my opinion (more room and fantastic huge windows and views); if you want that view it is easily worth $30 more a night. The other option I have used in KL is The Bodhi Lodge, which is very inexpensive. The rooms are small (maybe 10 feet by 8 feet?) and clean with a mattress on the ground and a small table and chair (wifi is available in the room). The person that checked me in was wonderful and has great ideas for tourists in KL. The common areas are very nice (TV and computers and wifi). 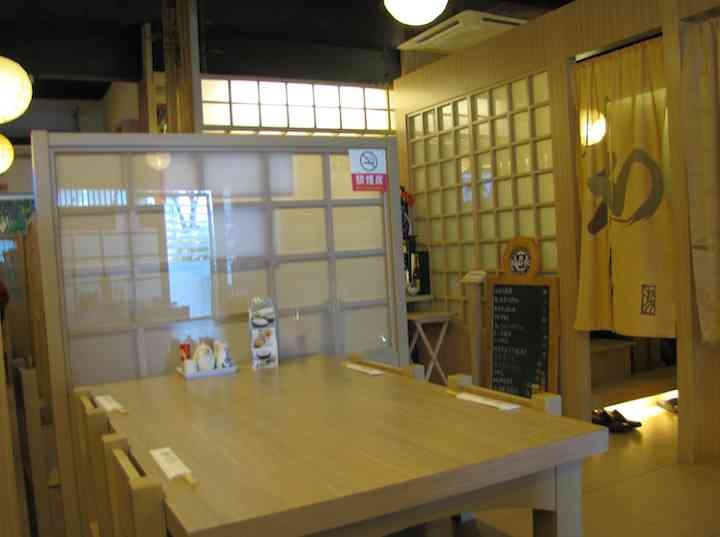 Furusato Japanese Restaurant is an excellent option (I guess it is my favorite Japanese restaurant in JB – though I like a couple) located in the strip of shop lots on Jalan Kuning, next to Plaza Pelangi Mall. The California maki is quite good and large (18 MYR). The sashimi is quite excellent. 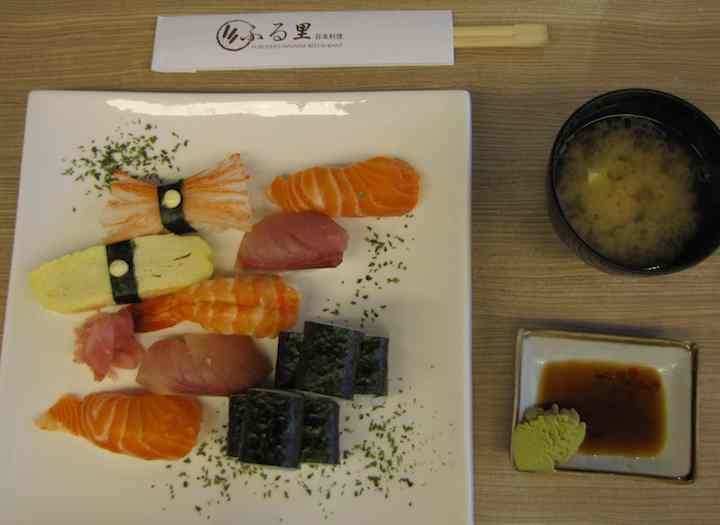 They also have cooked food, I just normally get sushi and sashimi there when I go. The interior of the restaurant is also quite nice.